Jill aka Jilko started riding as a mountain biker, then turned to triathlon for several years. After competing at the ETU Long distance Championships in Prague and 3 world championships, the Xterra Maui and twice at Kona in the Ironman World Championships, Jill hung up the wetsuit to concentrate on cycling. Jill focuses her efforts on time trials. She has form in endurance events and has been twice National tt Champion at 12hours. In 2015 Jill rode the furthest distance in a 12hr time trial since Beryl Burtons long standing 1967 record. 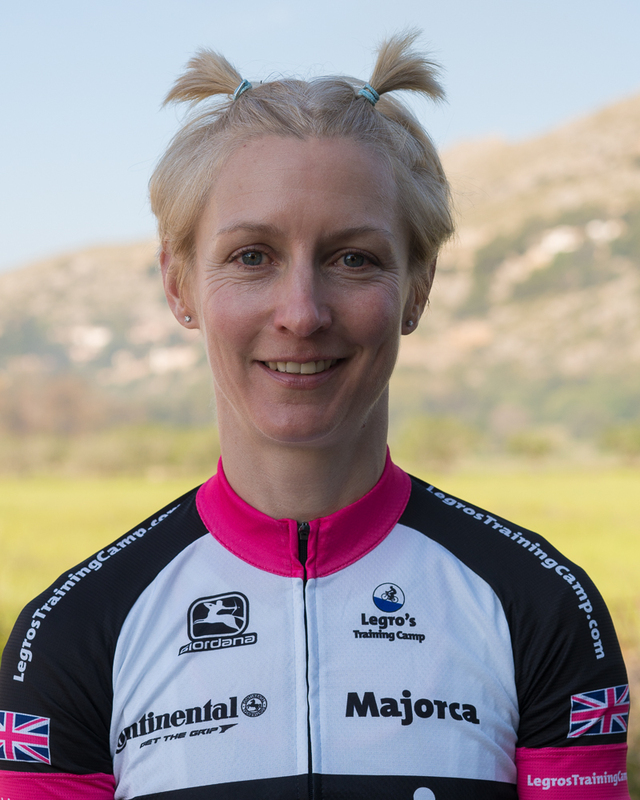 Jill has ridden with and led group 2a with husband Andy Wilkinson (Wilko) on camp for the last two years and last year led the April and May Legro’s lap of the Island 190 miles around Majorca.